Tina Harrison works Monday, February 22, 2016 at Blue Skies in North Chattanooga. Sources: Wallethub data from 2007 and 2012 business census for metro Chattanooga. Major employers list by the Chattanooga Area Chamber of Commerce, Tennessee Secretary of State and SEC filings by local companies. When Tina Harrison decided to relocate her gift and jewelry store to Frazier Avenue in 2003, there were few successful retail startups on the North Shore and even fewer that were women owned. 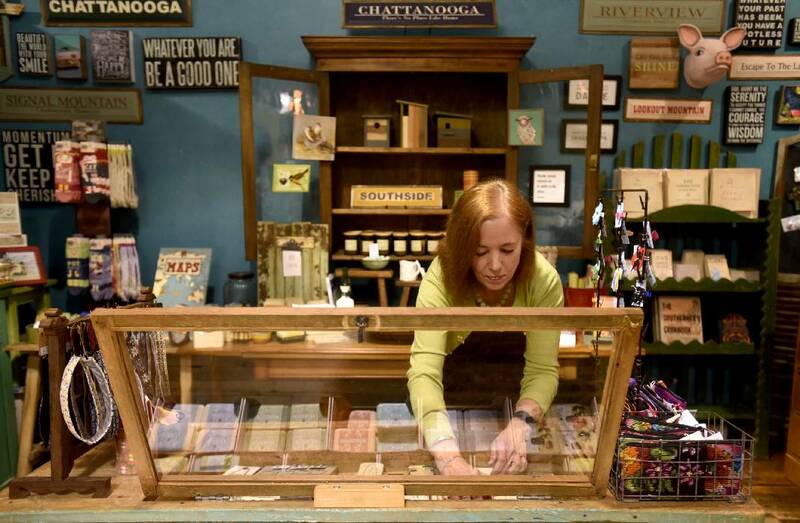 But Blue Skies in North Chattanooga has not only survived, but the Frazier Avenue shop has thrived along with a growing number of other female-owned retailers. "I always wanted to start my own business, and after getting bored with sitting in meetings and talking about the same old things, I started Blue Skies 16 years ago," Harrison said Monday. "I was fortunate to move to the North Shore, where a lot of other successful shops have gotten started. I think Chattanooga is proving to be a great place with a lot of community support for startup businesses, including those of us who are female-owned." Harrison's success and that of other women business owners led the financial online site WalletHub on Monday to list Chattanooga as the second best metro area in America for women businesses. Chattanooga, which ranked tops in the support of female-owned businesses by the Small Business Administration and other incubators and near the top in overall business friendliness, trailed only Nashville as the best city for women businesses. The self-described "Gig City" has benefited in recent years by the growth of Tennessee's biggest business incubator on the North Shore and a number of small business assistance programs, including The Company Lab Accelerator program that was used as a statewide model for a dozen other such accelerators across Tennessee by LaunchTN. "The incubator was wonderful in helping launch our business and in getting me focused on how business works in Chattanooga, and how we can build connections around town," said Lynn Talbott, a bookeeper who started HR Solutions with a desk and laptop in Chattanooga's incubator in 2012. Today, Talbott's firm has grown to 10 employees and more than $500,000 in annual revenues. Last month, the company "graduated" from the incubator to a new Red Bank office. 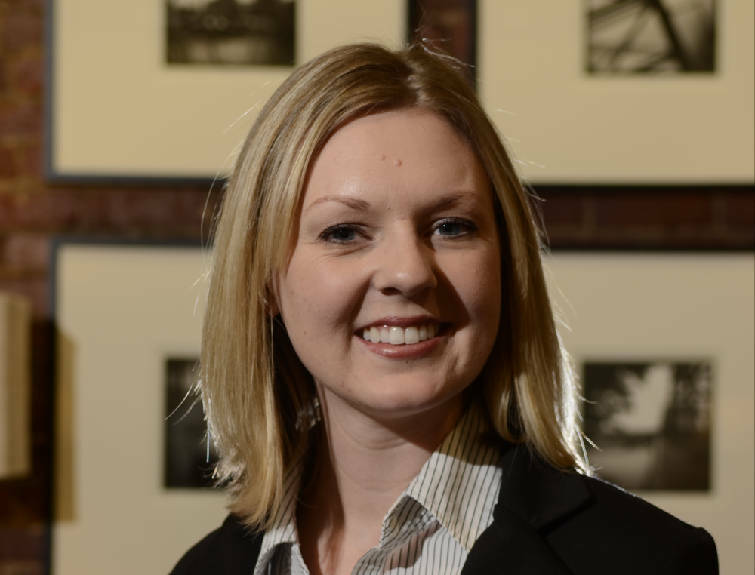 "I think women have great opportunities here, not only through traditional established groups like the Chamber of Commerce, but also the growing number of new networking and support groups that help build relationships and allow people to help one another," Talbott said. About 30 percent of the 65 businesses now housed in the Hamilton County Business Development Center are owned by women. "We're making a more concerted effort to try to help women-owned businesses and entrepreneurs, especially in the technology area," said Katherine Menchetti, director of small business and entrepreneurship for the Chattanooga Chamber at the Business Development Center in North Chattanooga. "There also are a lot of women groups, such as the Chattanooga Women's Leadership Institute, The Jump Fund, and others, that have taken root and are helping Chattanooga to become a great place for all people to start a business." Although improving, Chattanooga still trails most cities in the share of businesses with employees owned by women. Fewer than one in every six businesses that had paid employees in Chattanooga were owned by women in the last business census in 2012, ranking Chattanooga in the bottom 10 percent for the share of businesses headed by women. According to a recent American Express report, more than 9.4 million women-owned businesses currently operate in the United States, or about one-third of all privately owned businesses. Collectively, female-owned businesses generate revenues of more than $1.5 billion. WalletHub also reported that women-owned businesses are growing 50 percent faster than the U.S. average. Despite such growth, Chattanooga continues to trail most cities in the share of women occupying the corner offices and board rooms of major business and government employers. Among the 108 employers with more than 100 employees in Chattanooga, 92 percent are headed by men, according to the Chattanooga Area Chamber of Commerce list of major employers. The boards of directors of the seven publicly traded companies in the Chattanooga area are comprised of 90 percent men and the share of elected city and county officials in all levels of government in Hamilton County is 84 percent male. "We still have a long way to go, but I definitely think we are making progress and those numbers are likely to be different in the future," said Stefanie Crowe, an executive vice president at SmartBank in Chattanooga and one of the organizers of The Jump Fund created to invest in more female-owned businesses. The Jump Fund was established three years ago with $2.5 million from more than 50 female investors and funded the first business in July 2014. To date, Jump Fund has invested in a dozen female-owned or female-headed firms. "We were not seeing many women on the pitching stage or on the investment stage in Chattanooga, so we decided to try to change that dynamic," said Kristina Montague, managing director for The Jump Fund. "I think we've made a real difference, not only in our investments, but in the conversations we have helped to bring about." Montague said there were a lot of strong female-owned companies in Chattanooga in the past that were not getting the capital or support to grow their businesses as much as most male-owned companies. Recent studies have shown, however, that women-owned businesses today often grow at a faster pace and with as good, or even better, returns. "We opened our doors and saw more than 100 women-owned firms (seeking extra capital for expansion) in our first year and since then we've seen nearly 200 women-owned firms," Montague said. Corey Allison, CEO of Iron Gaming Inc., now known as Rezli, is one of the partners in The Jump Fund and her business has also been a recipient of its funding as part of $3 million in investment capital the software company has raised over the past couple of years. "Chattanooga is doing much better with seed and early stage capital funding," Allison said. "There is still a shortage of local second-level funding for many businesses but hopefully that will also improve and change over time. Beyond the funding support, many women entrepreneurs insist Chattanooga has a more supportive atmosphere as a city big enough for major business deals but small enough to build and maintain supportive relationships. Robin Derryberry, who started her own public relations firm in Chattanooga a decade ago, said most other business leaders and investors encourage startups and new businesses, regardless of gender. "The thing about this city is that people want you to be successful," she said. "If you get out there and are a hard worker and do what it takes to be successful, other people want to work with you. The more you nurture and cultivate relationships, the more that gets you business down the road." This story was updated Feb. 22 at 11:30 p.m. with more information.